Trapped in the underground theater world of 1890s New Orleans, Hale Ferrer has only one goal: escape. But not without Teeny, the orphan-girl she rescued from the streets and promised to protect. Freddie Lovel, Hale's wealthy Parisian suitor, seems to be the easy solution. If only his touch could arouse her interest like Beau's, the penniless stagehand whocaptures her heart. Denying her fears, Hale is poised to choose love until an evil lurking in their cabaret-home launches a chain of events that could cost her everything. 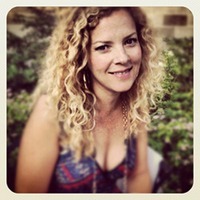 Leigh Talbert Moore brings readers a new taste of the New Adult genre. The first book in the Cheveux Roux Series is a slinky romance set in 1890s New Orleans that drives hope and desperation through readers like missiles. Rouge takes readers to a time and place where being on the bottom of the social scale means limited opportunities and just about no hope of moving up. It's even worse for Hale Ferrer since she's of mixed race and a woman. Her best options are to keep singing in the theater, where she also lives, and to marry. Hale has her eyes set on rich French gentleman Freddie Lovel. Her drive to move on to a safer life with orphan Teeny keeps her focused. Until she meets Beau, that is. I've never truly been a fan of a determinedly loyal character that would do anything to keep their promises while forsaking all else. Thankfully, Hale had a more reserved loyalty that wasn't overdone or prone to the alienation of her loved ones. Moore's characterization of Hale was well-rounded and pleasantly level in intensity. I didn't always agree with Hale's choices, because sometimes she seemed a little obsessive and acted as though she let her emotions rule her at the wrong moments. She remained a steadily balanced character throughout the plot. 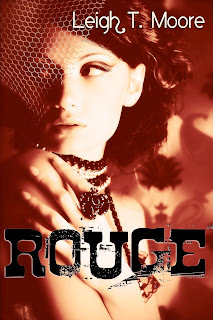 Rouge is an extremely interesting story and overall light read, but might leave you feeling averagely satisfied. The story has strong emotional waves and a general sense of intrigue that drives interest, but it doesn't last too long after the story closes. It is a story that readers can get into and fall in love with, some might even finish contemplating on what might come in the next installment.